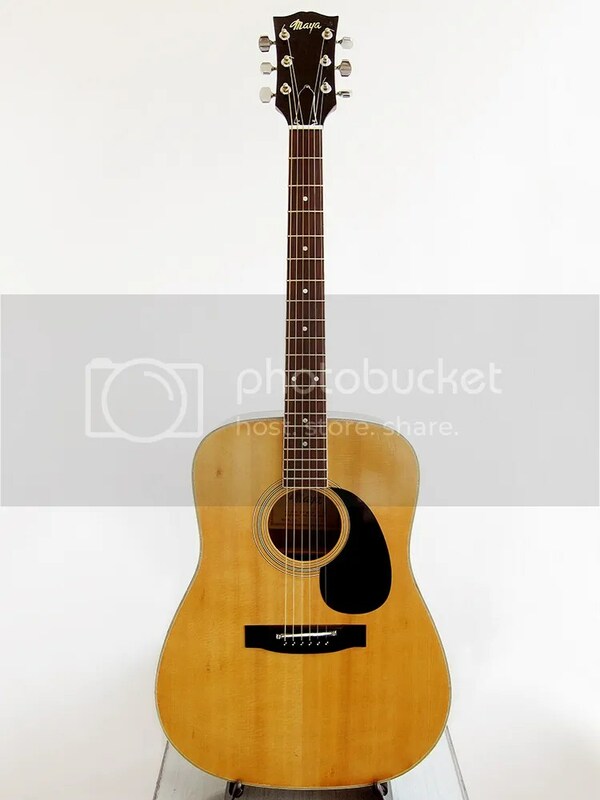 Japan made Gibson J-50 copy in a pretty good state for it’s age. I couple of marks on the spruce top and few knocks on the head but structurally very sound without any cracks. This Maya F334G was made by Chushin Gakki in Kobe, Japan, during the 1970’s. It has a really fat neck, it’s feels great to play, adjustable bridge with both bone nut and saddle. The sound is very full with a great booming bass. If you want more pictures you can check the post I wrote about it.